If you’re in a book club, you may want to borrow your next book club read. But what if everyone in your book club would like to borrow the same book at the same time? We can help you with that! 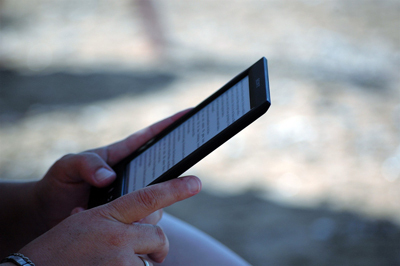 With Hoopla Digital, Bucks County residents can download or stream e-books and audiobooks on demand — no holds, no waiting. That means you and your friends can borrow the same book at the same time. And since the materials expire after a set period of time — 21 days for e-books and audiobooks — you don’t have to worry about returning them. Our librarians recommends the following titles for book clubs. These lists include a mix of new, recently published, and older titles. H is for Hawk by Helen MacDonald: An award-winning best-seller recounts how the author, an experienced falconer grieving the sudden death of her father, endeavored to train for the first time a dangerous goshawk predator as part of her personal recovery. Macdonald’s hectic and soaring experiences hunting with fierce yet playful Mabel force her to confront with new intensity the vast and wondrous mysteries of love and death. A Man Called Ove by Fredrik Backman: Ove is the kind of man who yells at kids to get off his lawn and is the bane of the local residents’ association. He may come across as gruff and bitter, but behind the unpleasant exterior is a dignified man with a story of love and heartbreak. The new neighbors and a scruffy cat may be the perfect combination to break Ove out of his shell and help him truly to start living. The Alchemist by Paulo Coelho: An Andalusian shepherd boy named Santiago travels from his homeland in Spain to the Egyptian desert in search of treasure buried in the Pyramids. Along the way he meets a Gypsy woman, a man who calls himself king, and an Alchemist, all of whom point Santiago in the direction of his quest. No one knows what the treasure is, or if Santiago will be able to surmount the obstacles along the way. What starts out as a journey to find worldly goods turns into a meditation on the treasures found within. State of Wonder by Ann Patchett: Marina Singh, a big pharma researcher, is sent by her married boss/lover to the deepest, darkest corner of the Amazon to investigate the death of her colleague, Anders Eckman, who had been dispatched to check on the progress of the incommunicado Dr. Annick Swenson, a rogue scientist on the cusp of developing a fertility drug that could rock the medical profession (and reap enormous profits). After arriving in Manaus, Marina travels into her own heart of darkness, finding Dr. Swenson’s camp among the Lakashi, a gentle but enigmatic tribe whose women go on bearing children until the end of their lives. As Marina settles in, she goes native, losing everything she had held on to so dearly in her prescribed Midwestern life, shedding clothing, technology, old loves, and modern medicine in order to find herself. Brooklyn by Colm Toibin: In the southeast of Ireland in the early 1950s, Eilis Lacey is one among many of her generation who cannot find work at home. Thus, when a job is offered in America, it is clear to everyone that she must go. Eilis heads for unfamiliar Brooklyn to a crowded boarding house. Slowly, the pain of parting is buried beneath the rhythms of her new life—until she begins to realize that she has found a sort of happiness. As she falls in love, news comes from home that forces her back to Ireland, where she finds new possibilities that conflict deeply with the life she has left behind in Brooklyn. Purple America by Rick Moody: Dexter (Hex) Raitliffe, a freelance publicist, returns home to care for his mother, Billie, who is dying by inches of a neurological disease that will rob her of motion, of speech, and finally of thought. Billie’s second husband has left her–a fact that Hex is unaware of until he comes home–and her only hope for assisted suicide lies in her son. Unfortunately, Hex is barely able to conduct his own life, much less take his mother’s. Purple America takes place over the course of a single night; in that night, Hex gives his mother a bath, reconnects with an old love, gets drunk, and goes after his stepfather to confront him, with tragic results. The Man Who Loved Children by Christina Stead: A brutally honest examination of domestic life and family. Sam and Henny Pollit have too much — too much contempt for one another, too many children, too much strain under endless obligation. Flush with ego and a chilling domestic power, Sam torments his children, bending and manipulating their seemingly limitless love to his overbearing advantage, while Henny looks on desperately, all too aware of the madness at its root. The Group by Mary McCarthy: This celebrated novel follows the lives of eight Vassar graduates, known simply to their classmates as “The Group.” An eclectic mix of personalities and upbringings, they meet a week after graduation to watch Kay Strong get married. After the ceremony, the women begin their adult lives — traveling to Europe, tackling the worlds of nursing and publishing, and finding love and heartbreak in the streets of New York City. Through the years, some of the friends grow apart and some become entangled in each other’s affairs, but all vow not to become like their mothers and fathers. It is only when one of them passes away that they all come back together again to mourn the loss of a friend, a confidante, and most importantly, a member of The Group. The Stranger by Camilla Lackberg: A local woman is killed in a tragic car crash, but while the victim’s blood contains high alcohol levels, she rarely drank a drop. Meanwhile, a reality TV show begins shooting in Fjllbacka, and as cameras shadow the stars’ every move, tempers flare. When a drunken party ends with an unpopular contestant’s murder, all eyes turn to the cast and crew. Could there be a murderer among them? The ratings spike as the country tunes in to a real life murder mystery. Detective Patrik Hedstrom finds himself increasingly unable to focus on the strange circumstances of the first case, but what if that holds the key to a series of other unsolved cases across Sweden? Under the unforgiving media spotlight, Patrik tackles his most challenging investigation yet. All the Winters After by Sere Prince Halverson: A pair of damaged introverts find love and healing in a remote corner of Alaska. After a layoff and a breakup, Kachemak Winkel has left Austin, Tex., for his family’s homestead near Caboose, Ala., which he has not been to since a plane crash killed his parents and brother 20 years ago. Kache dreads revisiting the cabin where he grew up, expecting to find a pile of rubble. To his surprise, he finds it in perfect condition and unexpectedly occupied by Nadia, who fled an abusive marriage and a nearby religious enclave. She’s been hiding in the cabin for the past 10 years with no companions but a dog and Kache’s mother’s journals. As Nadia and Kache strike up a tentative friendship, Kache rediscovers his long-dormant musical talent, delights in coaxing Nadia out into the bigger world, and begins to let go of the tragedy in his past. But there are obstacles, particularly Nadia’s ex-husband, who has a score to settle. If you prefer print books, try one of our 35 book discussion kits; titles include fiction and non-fiction. Each kit contains 10 copies of a book plus a book discussion guide.